ACOM OEM Brand Laser Toner Cartridge specifically designed to work with the Xerox 4517 Printer to ensure optimal printing of text and graphics. Guaranteed against defects in materials and workmanship. ACOM OEM Brand Laser Toner Cartridge specifically designed to work with the Xerox N17 Printer to ensure optimal printing of text and graphics. Guaranteed against defects in materials and workmanship. ACOM OEM Brand Laser Toner Cartridge specifically designed to work with the Xerox Phaser 3320 Printer to ensure optimal printing of text and graphics. Guaranteed against defects in materials and workmanship. ACOM OEM Brand Laser Toner Cartridge specifically designed to work with the Xerox Phaser 3330 Printer to ensure optimal printing of text and graphics. Guaranteed against defects in materials and workmanship. 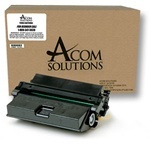 ACOM OEM Brand Laser Toner Cartridge specifically designed to work with the Xerox Phaser 4500 Printer to ensure optimal printing of text and graphics. Guaranteed against defects in materials and workmanship. 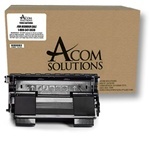 ACOM OEM Brand Laser Toner Cartridge specifically designed to work with the Xerox Phaser 4510 Printer to ensure optimal printing of text and graphics. Guaranteed against defects in materials and workmanship.